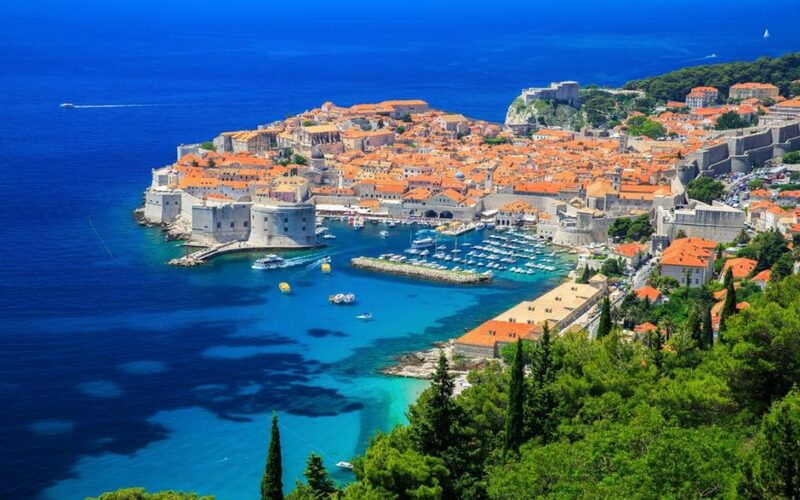 For those who like a bit of (TV) drama with their holiday, Dubrovnik is the ideal destination. The magnificent Old Town complete with its dramatic waterfront and ancient brickwork is the background for many of the scenes from HBO’s Game of Thrones. 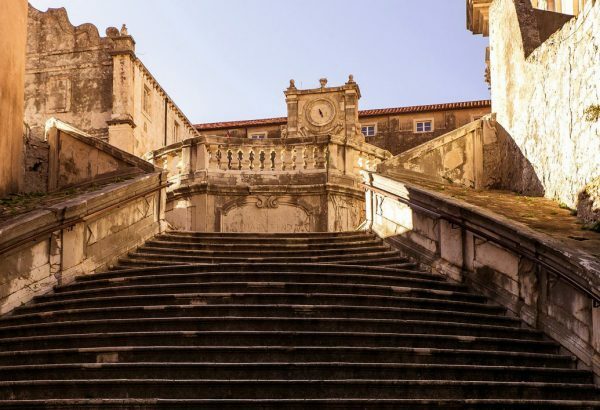 Most notably, Cersei Lannister’s naked “Walk of Shame”, which resulted in her descent up the elegant Jesuit Staircase in King’s Landing. Many more locations were used, and a tour is a must for any GoT fans. 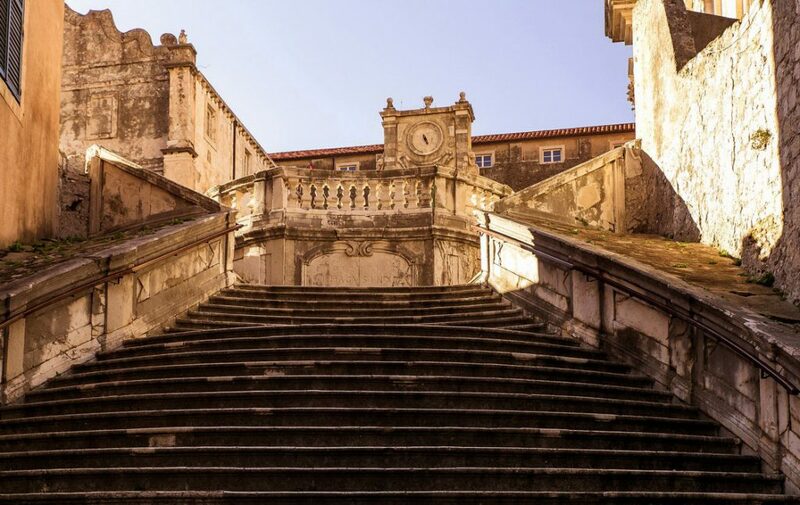 The rugged coastline and fortress-buildings so characteristic of Dubrovnik’s historical centre also crop up in Star Wars, The Jedi Returns, and once you have seen the pretty terracotta roofs across the city, and the picturesque architecture, you will see why it is so suited to the big screen! 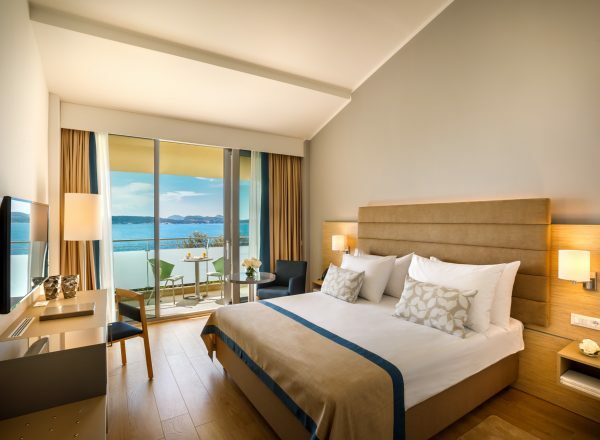 I stayed in the impressive newly renovated, four star Valamar Argosy Hotel on the Babin Kuk peninsula, which has pride of place on the clifftop; And although fairly tucked away, with only other hotels around, it is just fifteen minutes drive into the Old Town, and forty minutes from the airport. 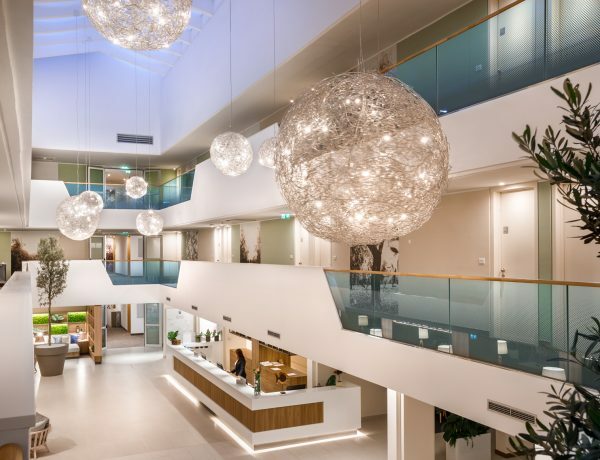 The vibe of the hotel is laidback and unpretentious. 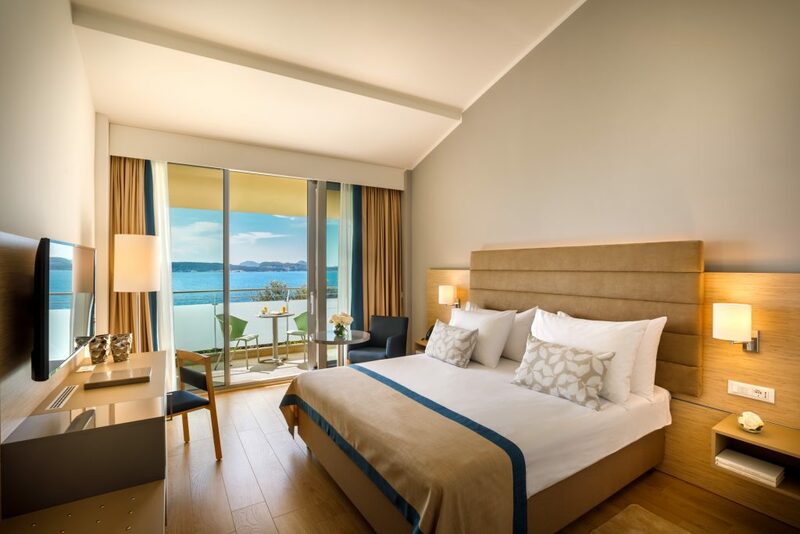 Decorated in natural tones with a nautical twist, the rooms are minimimilistic, but adequately equipped for a relaxing stay. 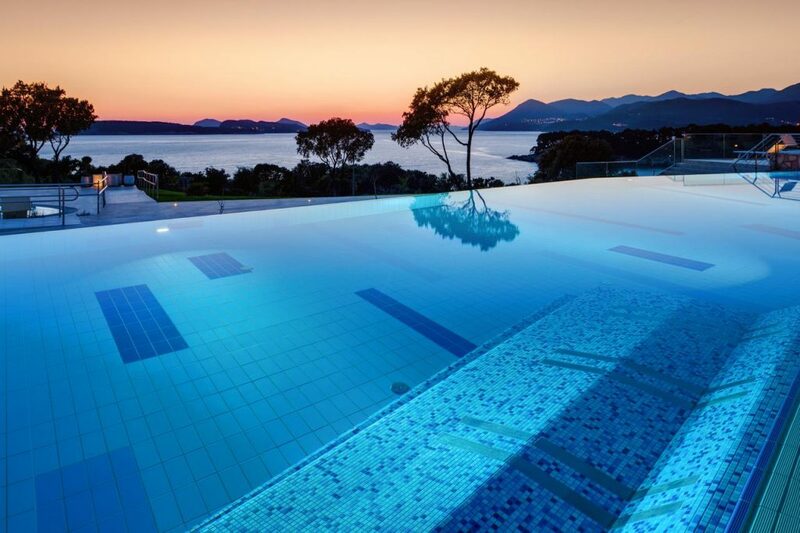 The pools take pride of place, glittering like giant sapphires amongst the landscaped gardens, which are punctuated by day beds and stunning exotic shrubbery. 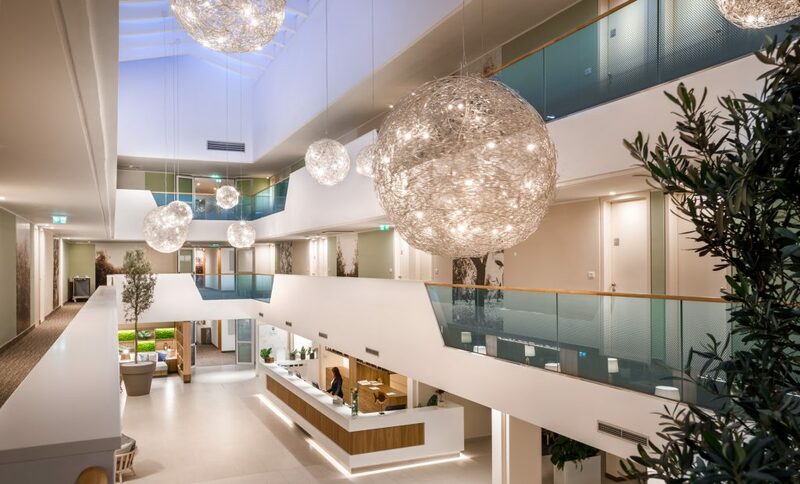 It is easy for residents to while away the days lolling on a lounger or cabana on the decking, or swaying to the sea breeze in a hammock, whilst intermittently soaking in the infinity pool. And when you need to unwind even more, try out a Finnish or bio sauna in the on site Wellness Suite. The Argosy “body touch wellness ritual” is pure indulgence- a full body scrub and massage provides the perfect antidote before you leave, to preserve your tan! The highlight of an indulgent day out for me was definitely a visit to BOWA – an intimate restaurant on the other side of Šipan. 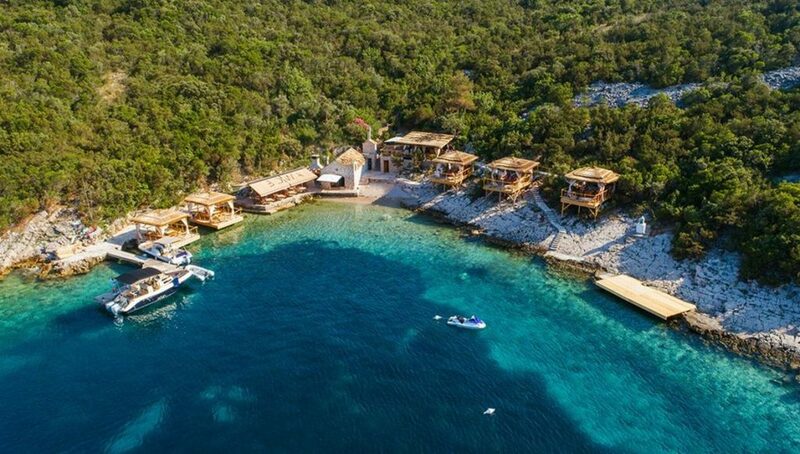 Accessible only by boat, the private beach and cabanas offer a slice of paradise for those who have a sense of adventure. Enjoy a seven course tasting menu with exclusive use of a cabana from €100 per person – or peruse the tasty lunch menu, which you can enjoy on the terrace starts from €35. 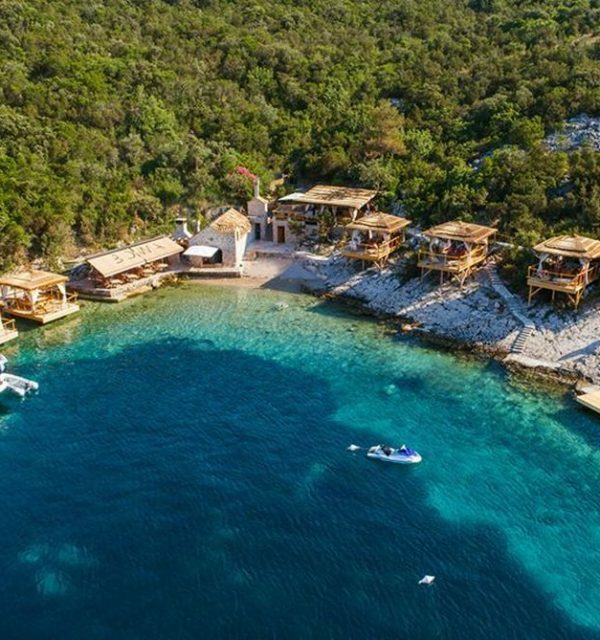 Only open during daylight hours, this slice of paradise is well worth devoting a complete day to! Ideal for a relaxing getaway, bed and breakfast room rates start from £180 per person per night in August and September. To book this award-winning hotel, please visit: www.Valamar.com for guaranteed, lowest online prices. With a generous 22kg baggage allowance to Dubrovnik from London Stansted Airport, the flights start from £39 one way including taxes. For more information please visit www.jet2.com or call 0800 408 5599.